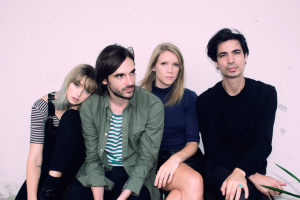 It’s always a good day when a new video from Sydney outfit I Know Leopard drops. The band has just kicked off their touring commitments as the support act on the Gang Of Youths national tour, but they’ve not been too busy to reveal that they’ll drop their four track sophomore EP called ‘Another Life’ on September 11. The first new tune lifted from it is ‘Close My Eyes’, which is blessed with its very own music video (below). In it, the band, who’ve clearly all been shopping at Uniqlo for matching outfits, take over some sights that’ll be familiar to residents of their home town, while wrestling with the challenging task of learning the lyrics to the song in reverse.